The lettuce crop is in. With a vengeance. We are blessed with such bounty that we are giving big bags of lettuce to friends, to colleagues, to our garden neighbors. Lettuce (Lactuca sativa) has a noble history, dating back to the ancient Greeks and Persians. 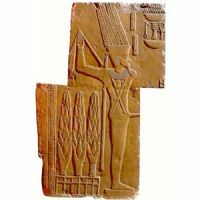 Egyptians are credited with morphing a weed into a delicate edible vegetable. The lettuce we grow is nothing like the awful iceberg lettuce of my youth. These lettuces are so richly colored that you can practically see the iron and potassium they harbor. Sweet Repeat gives us tasty green loose leaf. The heirloom Salad Bowl has curly burgundy and green leaves. For variety, we have a mesclun blend of Asian greens – it is a riot of mizuna, tatsoi, mustard greens and spiny spinach. Red Sails produces crinkly, reddish-bronze tipped leaves. Picked early in the morning, lettuce reveals how those delicate leaves sustain moisture and stand up against the afternoon heat. The heart of each plant collects the morning dew and threads that moisture upward through the ribs of the leaves. Nature’s own irrigation system. We picked up many of these seeds last fall at Arcadia, a sustainable food initiative based at Woodlawn Plantation, one of George Washington’s original farms. Arcadia works with schools and inner-city neighborhoods to teach city kids where their food comes from. Washington, the farmer, would approve.